OurCrowd is excited to announce the launch of Radicle, an accelerator fund dedicated to growing early stage agricultural technology startups into proven industry leaders. The fund aims to solve global farming problems and reduce the time to develop, market, and commercialize new agriculture technologies. The $15 million fund is launched in partnership with Finistere Ventures, Cloud Break Advisors, and an alliance of top agricultural industry leaders, including Bayer and DuPont. 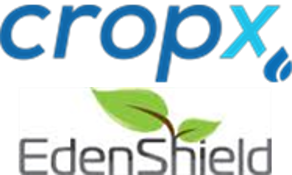 It was quite natural for OurCrowd to partner with the Radicle consortium in light of our history and experience with investing in and growing Israeli agricultural companies, such as our portfolio companies EdenShield and CropX. OurCrowd will work closely with our Radicle partners to continue originating investment opportunities in Israel, sourcing high quality startups with strong growth potential.